We’ve Got Pumpkins and Fall Decor! Argyle Feed has a variety of pumpkins, hay bales, scarecrows and more Fall decor items to decorate your home and yard in style for Fall! Visit us today to pick up a few and feel free to bring the family for photos, too. Look for more info on our website and Facebook for info about our upcoming Halloween Events. 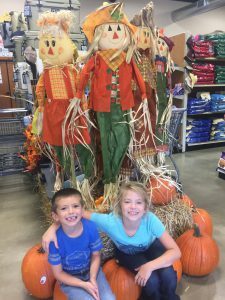 Celebrate Fall at Argyle Feed & Hardware! This entry was posted on Tuesday, September 27th, 2016 at 11:11 pm	and is filed under Garden, News & Updates. You can follow any responses to this entry through the RSS 2.0 feed. Both comments and pings are currently closed.